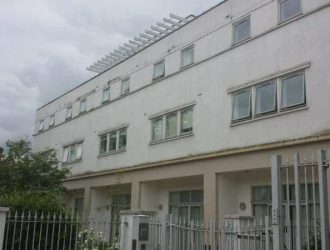 Do You Want Your Building's Render Cleaned? Clean Render or Your Money Back! 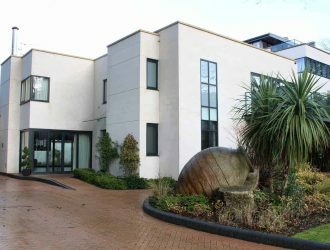 Render Cleaning Cornwall projects should be SoftWashed clean by an experienced render cleaning company. Choosing a company to clean render in Cornwall can prove to be quite difficult as many external cleaning type companies simply do not understand how to safely clean rendered walls properly. When you find a render cleaning Cornwall company who has specialised equipment and understands difficult access issues give them a call and ask for advice on what methods they use to ensure the render will stay cleaner for longer periods of time due to correct cleaning methods being used. The answer you are looking for is SoftWashing. 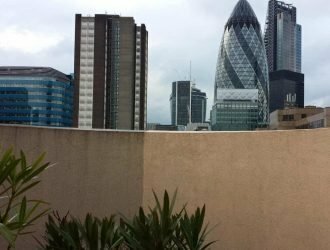 SoftWashing render will ensure the render is cleaned and undamaged by this gentle approach rather than trying to blast it clean with a pressure washer. Using selected Softwashing mixtures will also ensure your rendered walls are completely free of all living matter. 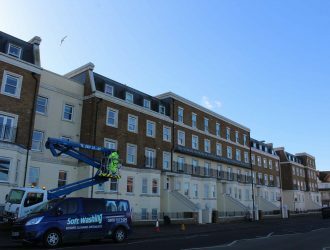 When you are ready to arrange a free site survey followed up by a fully written quotation call 0800 1577484 and speak to one of our experienced render cleaning building surveyors. 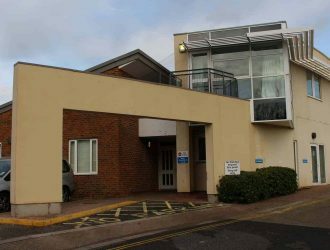 Cornwall render cleaning projects can also benefit from advice on how to protect their render by using specialised hydrophobic coatings which allows the render to breathe whilst being protected from blue-green algae. When it comes to render cleaning in Cornwall, it’s important to find a team that really knows what they are doing. After all, what’s the point in paying for professionals if you’re not going to receive the professional service you expect? 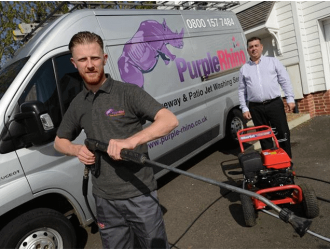 At Purple Rhino we provide render cleaning services in Cornwall and throughout the UK. 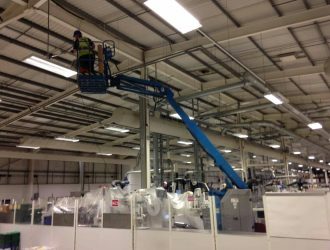 With experienced teams and state of the art equipment, we’re able to provide a quality service at a competitive price. There are a number of reasons as to why you may need render cleaning in Cornwall; perhaps the exterior of your business is suffering with algae and it’s ruining the overall aesthetic or maybe you’re worried that weathering and pollution are starting to cause lasting damage. In fact, you may just simply want to spruce things up with a professional clean. Whatever your reasoning, our render cleaning service can make all the difference. 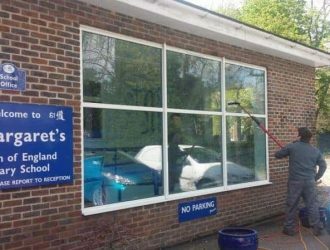 Render cleaning ensures the outside of the building looks its best at all times, which creates a fantastic lasting impression on both customers and employees. Plus, it removes anything that could be causing damage such as moss and dirt. 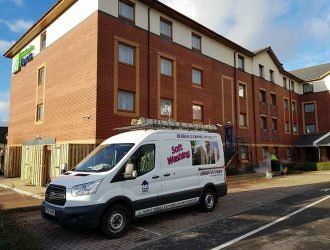 At Purple Rhino, we take care of all aspects of our render cleaning services. 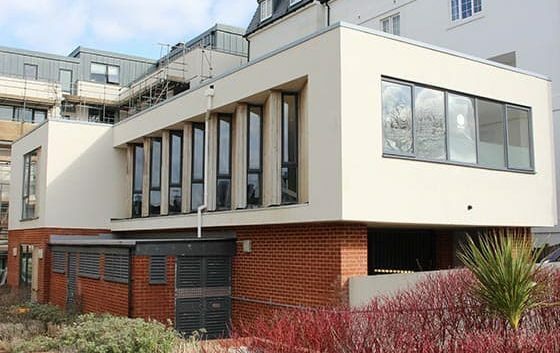 As well as planning and carrying out the render cleaning itself, we’re also available to answer any questions throughout the process and we ensure you’re kept up to date at all times. Should we come across an issue or a potential problem, you’re the first to know. 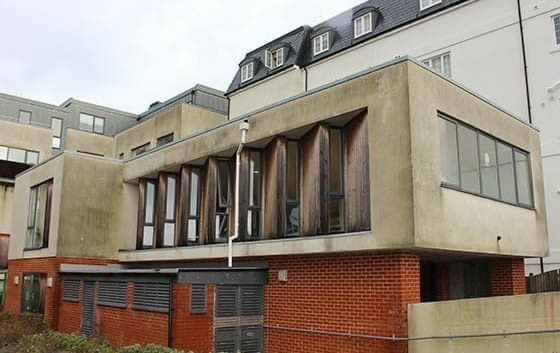 Our team is comprised of specialist individuals, all of which work hard to transform stained and dirty buildings into those that stand out from the rest for all of the right reasons. We understand that Cornwall’s weather isn’t the greatest and it can cause problems for buildings so precautions should be taken to ensure the weather and the environment don’t cause any lasting damage. Remember, when left untreated, these seemingly small issues can become costly.